It’s that time of year again! 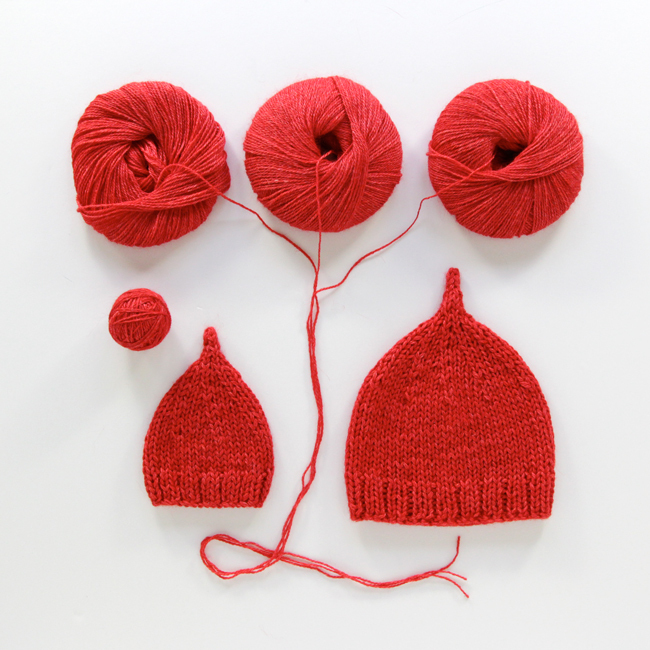 The American Heart Association is currently seeking donations of knit, loom knit, or crochet hats for preemies and newborns. They’re for a program called Little Hats, Big Hearts, which strives to put little red hats on the heads of as many babies born in the month of February as possible. While they’re at it, they give parents of these newborns informational packets to help them understand congenital heart defects, a leading cause of death among infants. According to the American Heart Association, approximately 40,000 children born in the United States, or at least 8 of every 1,000 infants, have some form of congenital heart defect. Visit the Little Hats, Big Hearts campaign page to find out how to donate hats in your area. I shared my family’s personal connection with congenital heart defects. 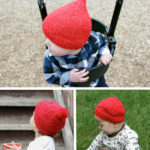 I designed a free Baby Hearts Hat pattern for folks who wanted to knit & donate hats to the cause. 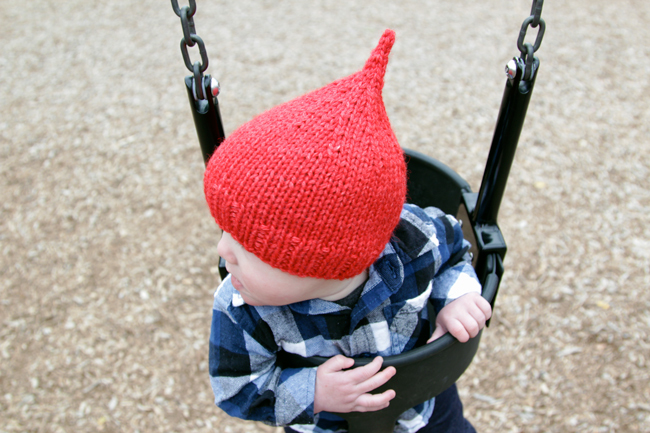 I designed a preemie version of the Baby Hearts Hat for even tinier newborns. The Chicago Tribune ran an article on Little Hats, Big Hearts, and I was interviewed about my family’s story and participation in the project. It’s ironic that the year I discovered the campaign and all this went down was the same year a close friend gave birth to her first child at just 25 weeks. A big target of Little Hats, Big Hearts is premature babies, a population that can have a range of health problems, including heart issues. While all those little red hats so many donated were finding homes all over the country, my friend’s son, Declan, was about to spend the second month of his teeny tiny life in an incubator. 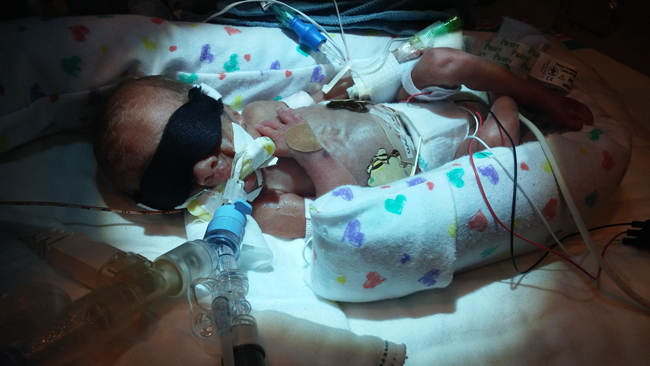 Declan was born at 25 weeks at 2 lbs and 13 in long. His coming so early was entirely unexpected and he was born just six hours after the first sign something was amiss. Life in the NICU is a bit of a roller coaster. The staff warns you that there’s usually a honeymoon period right after birth, but it’s often two steps forward and one step back. Many times during his stay, we’d see him taken off breathing support just to go back on it. It was 14 hours before I actually saw Declan in person for the first time and almost a week before I got to hold him. He was born with a soft heart murmur, called a PDA, but that is normal for babies of his gestational age. It eventually went away on its own as he grew. One time we were worried he had an infection because he seemed to have a fever, but it turned out his bed was malfunctioning an they were trying to cook him. Declan came home about two weeks before his due date at 6 lbs 2 oz. The last few weeks before he came home were some of the toughest because we knew he was so close. He’d be off the breathing support then back on and repeat. His primary care nurse ended up leaving a note written on a whole piece of printer paper in sharpie above his bed to make sure people didn’t screw up her work. Declan is 10.5 months old now, but 7 months adjusted. They use an adjusted age until 2 for when to expect milestones. To me, the greatest benefit of the hats you’re making is that it gives a piece of normalcy to the families. 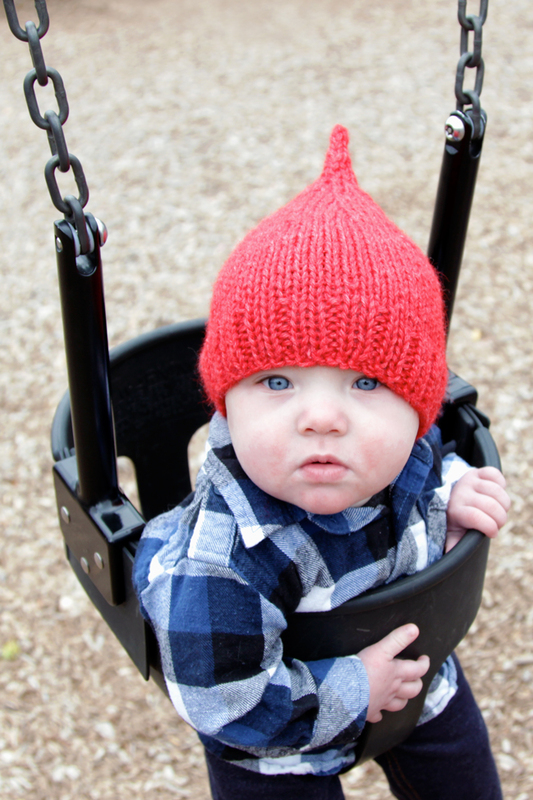 It was so sweet to see Declan in his first hat crocheted by my sister. There’s kind of a grieving process over not having a full term pregnancy, or normal birth experience. And then people don’t really know what to say to you, or you may not know how to feel yourself. 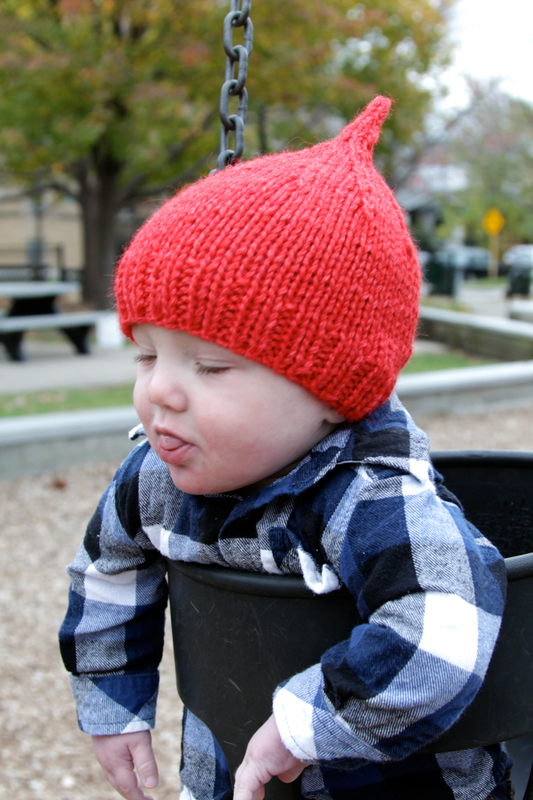 A cute hat is a way to find joy in an incredibly difficult situation. 1. Look at those blue eyes! 2. Cue tears. I have to admit that even as a good friend of Declan’s mom, it was hard to know what to do or say when he arrived so early. If you’re struggling with what to say or do, I recommend making a few red hats! Make one (or more if the preemies are twins+), and make a few more to donate to Little Hats, Big Hearts. Knitting and crochet are a great way to channel anxiety, and you’ll be supporting a good cause while you’re at it. 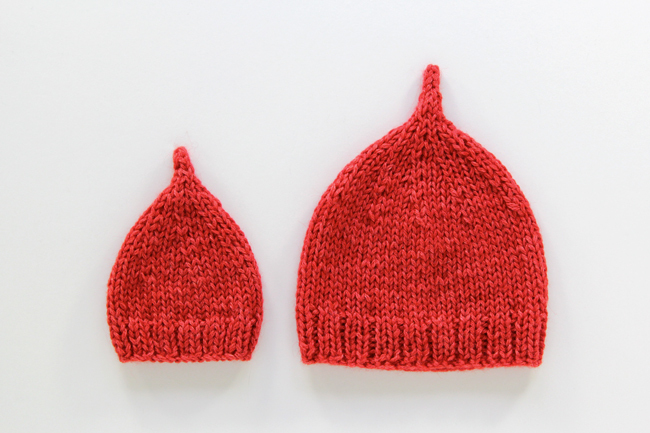 In honor of the bluest-eyed baby in my life, the red hats campaian, and Prematurity Awareness Month, I’ve got a new preemie and baby-sized hat pattern for you! 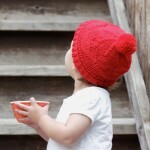 This super cute pointed hat knits up quick and is ridiculously adorable. 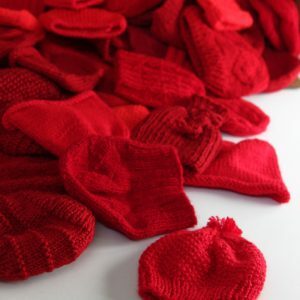 You can crank out the preemie size in under two hours (even if you’re a slow knitter like me), and then you can visit the Little Hats, Big Hearts campaign page to find out the closest place to donate your little, red hats. CO 54 sts and join into a rnd. rnd 1. (k2, p1) around. Work rnd 1 seven times total. Work rnd 2 fifteen times total. Break yarn, drawing tail through remaining loops. Weave in ends and block to finish. 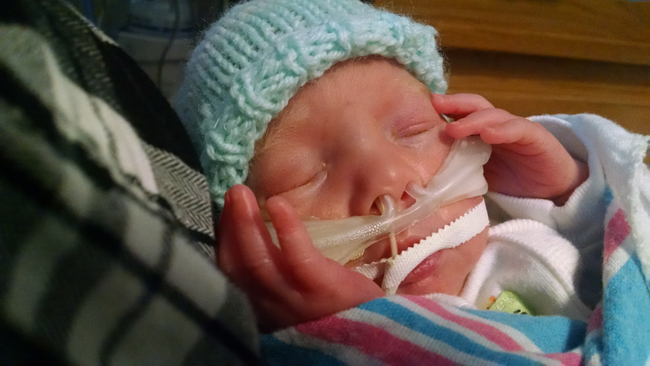 The preemie size hat fits a 12 to 13 inch preemie head, and the infant size fits up to 18 inches. 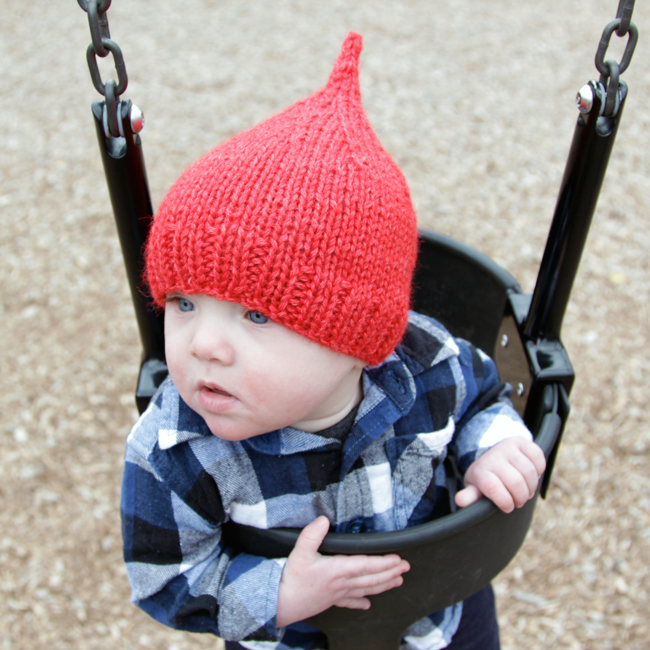 The preemie size hat would have fit Declan at birth, and infant size fits him now at 10.5 months. CO 36 sts, and join into a rnd. Work rnd 1 five times total. Work rnd 2 seven times total. This story was shared at the request of Declan’s mom, saying “For people who find your post because of the preemie angle, they need to see positive stories.” As of this writing, Declan is totally happy, healthy and about to take off all over the place! 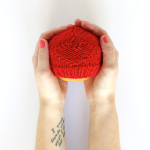 Celebrate Heart Month with Knitting & Crochet! 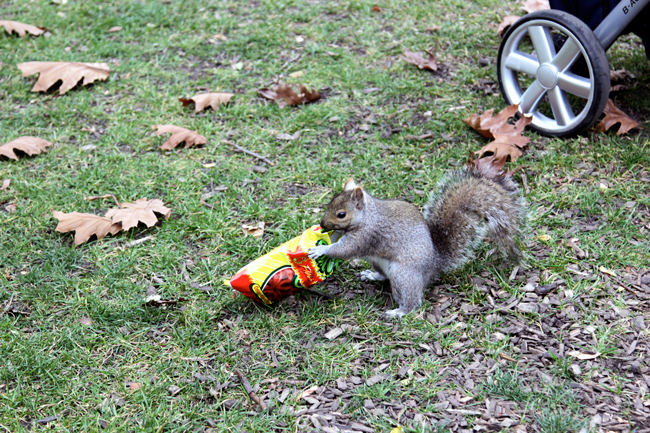 Wonderful cause and heartwarming story…squirrel and all. We are on this project totally! My daughters 12 and 14 love to loom knit and I knit and crochet so we can all participate! Ps is worsted wool doable in your wonderful pattern? I’m so sorry, Jane! I just caught your comment! Yes, worsted is fine. Anything that calls for an 8 or 9 size US needle will work. 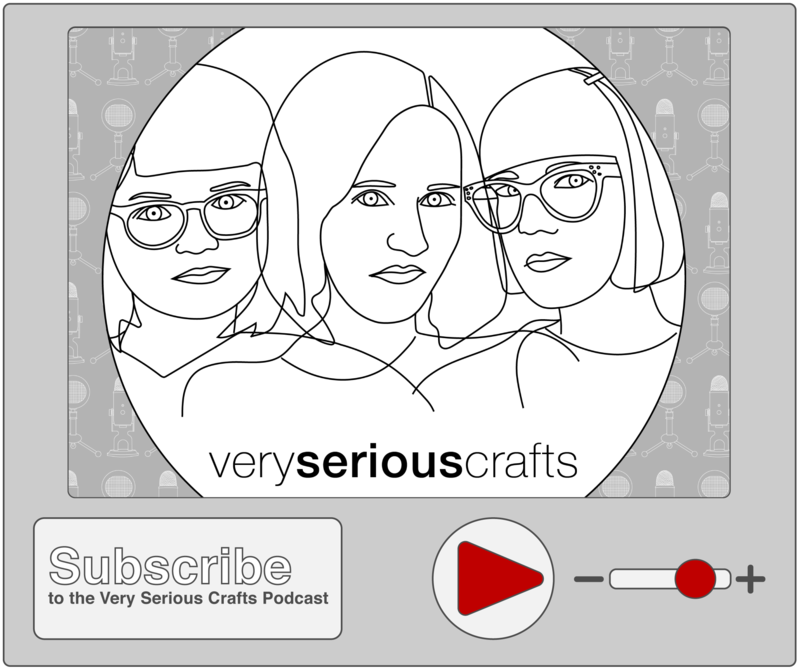 Is there a crochet pattern? Is the gauge the same for infant and preemi?